This talk is intended to provide an overview of applicable legislation relating to wildlife, species-at-risk and fish/fish habitat protection and the importance of conducting a thorough evaluation of habitats and habitats supporting fish and wildlife as it relates to information supporting ecological risk assessments and remediation activities. Proper habitat assessments are integral in confirming receptor groups, species interactions, species utilization by resident and seasonal / migratory species, potential impacts and project limitations as well as timing windows and constraints for species occupying sites and surrounding areas. Chris Lee is the owner /principal of AquaTerra and is a Registered Professional Biologist (RPBio), Qualified Environmental Professional (QEP), and Certified Erosion and Sediment Control Lead in BC (BC-CESCL) with over twelve (12) years of experience in the environmental consulting business. 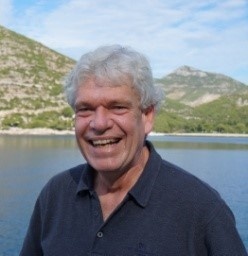 Prior to consulting, Chris worked for Fisheries and Oceans Canada (DFO), heading numerous research projects involving Pacific Salmon and Surf Smelt. Chris’ consulting career was initially focussed on contaminated sites, risk assessments, and environmental monitoring. Shortly thereafter, his focus broadened to include the management of numerous largescale Environmental Monitoring, Environmental Impact Assessment and Habitat Restoration and Enhancement projects. Chris also has extensive experience in fish biology and aquatic habitat assessments, having completed numerous compensation, enhancement and reclamation projects. As a result of Chris’ comprehensive background, he is able to quickly assess the numerous inter-related aspects, options and constraints of a given project and how municipal, provincial and federal regulations, acts, by-laws and guidelines may apply.